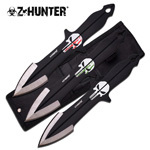 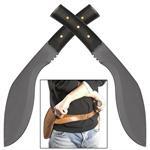 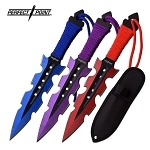 13 Inch Rambo Style Full Size Survival Hunting Knife. 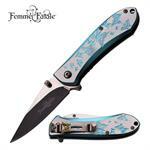 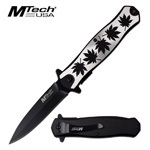 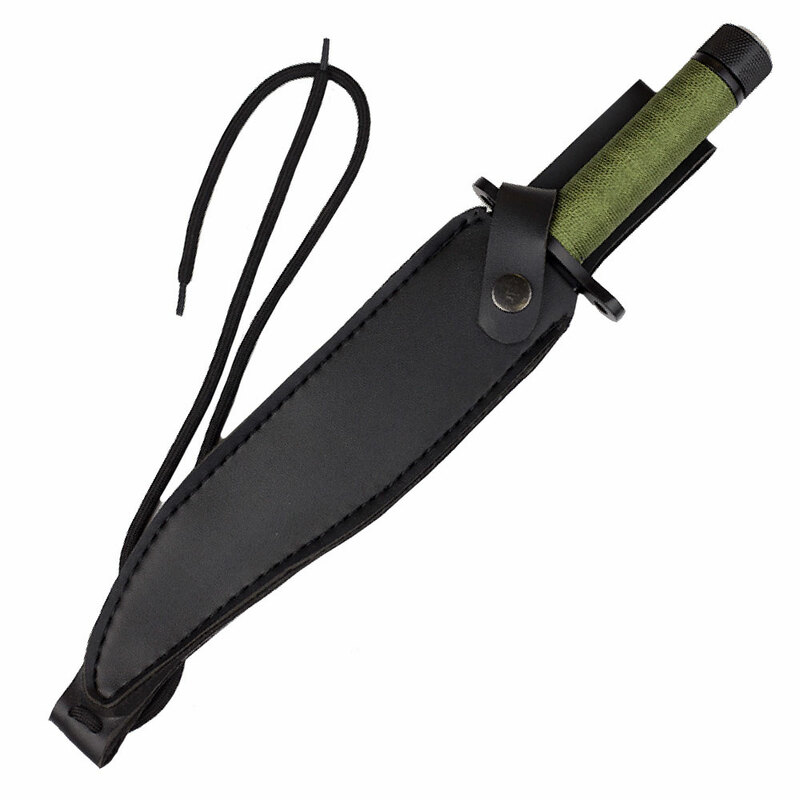 Comes with an black leather sheath. 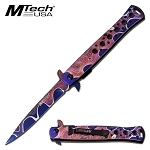 This is the Replica Handmade Edition Knife. 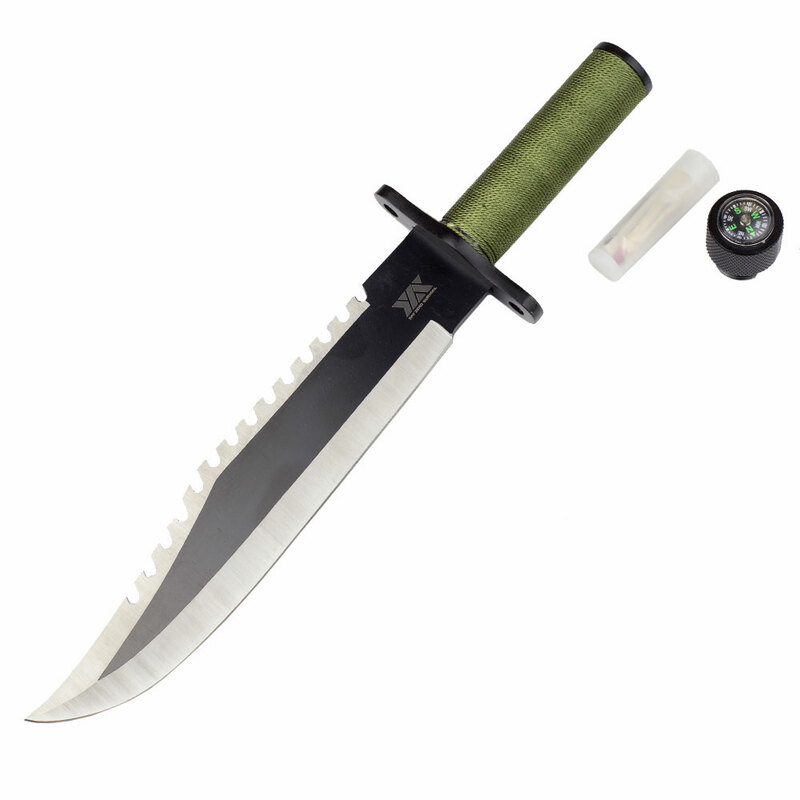 This knife comes with its unique survival kit in the handle just like the one in the movie. 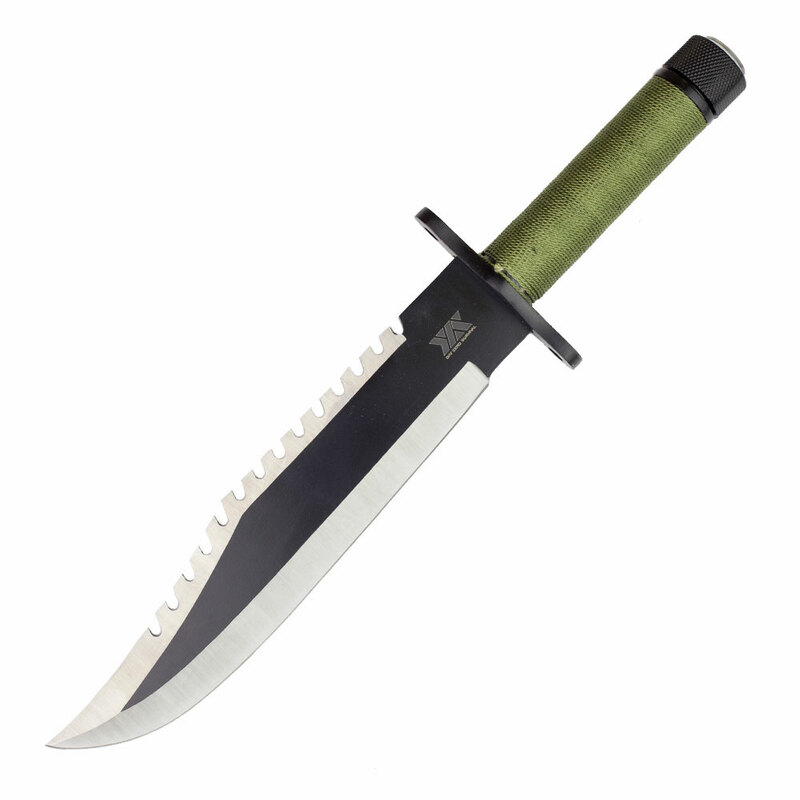 8.5" two-tone Stainless Steel blade with rigged upper spine and carries a classic design with curved edge, Survival Kit, forest green cord wrapped handle makes this a perfect hunting tools. 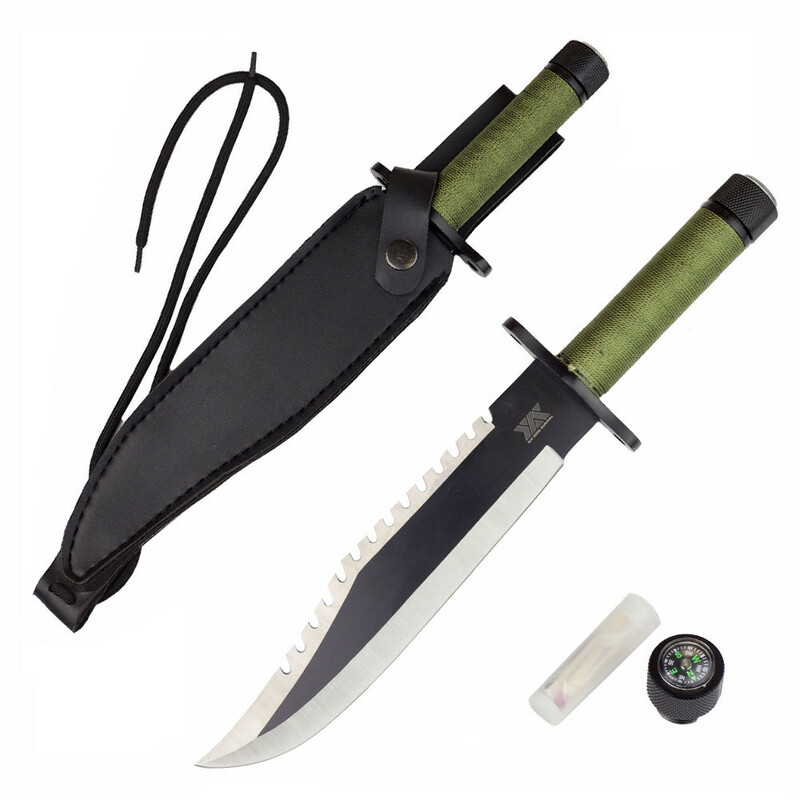 This Classical Hunting Bowie Razor Sharp Knife comes with an black leather sheath which is hand stitched and also has a string for comfort hanging or survival. 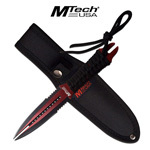 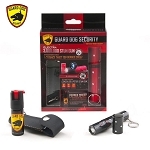 Secretly inside the handle is a survival kit for camping or hunting. 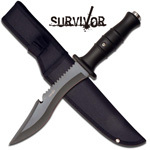 Includes: Survival Kit, Matches, Band Aid, Fishing Rig, Pencil, Compass, Etc.